Our secondary glazing consultants can design a solution that delivers the increased insulation and noise reduction that you need, whilst at the same time producing a unit that is sympathetic to the design of the original window and interior decoration. Once the specification has been agreed, the units will be manufactured by the UK's leading secondary glazing specialist, Granada, and installed by our experienced factory-trained team. With all work covered by our 10 year insurance-backed DGCOS guarantees, we think we're offering a secondary glazing service that is second to none - have a read through the 3-steps detailed below and see for yourself. As simple as 1, 2, 3 . . . Thank you for reading this far! You've recognised that Cambridge Secondary Glazing offers a range of solutions for all types of windows in properties of all ages. We've included a brief overview of the benefits of secondary glazing within this website but there is still a big part of the story to tell. For an quick chat about secondary glazing please contact our sales team. At this time they can talk you through the benefits and prepare a guide price (based on your measurements) for your consideration. Alternatively, they can arrange for one of our consultants to visit you in your home and prepare an accurate quotation based on measurements taken as part of their home survey. Often carried out as part of a quotation request, our consultant will visit your home and carry out a full assessment of the problem: cold spot, general insulation, noise, or a combination of them all. During the consultation, advice will be offered and solutions discussed. 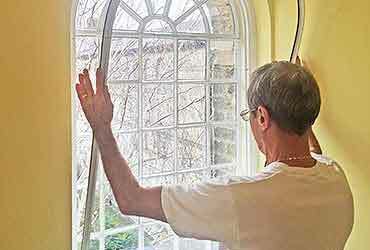 Our consultants do not work on commission, so don't be surprised if they only offer you advice - secondary glazing is a remarkable product but there are occasions when another solution may be better. 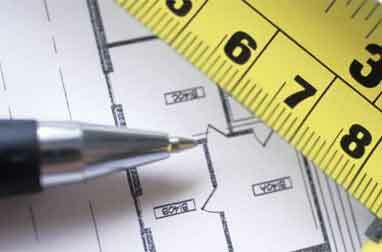 When accurate measurements have been taken and a full assessment of the problem documented, our constant will prepare a fixed-price quotation for the work discussed and send it to you. The consultation, home survey and quotation service is offered at no cost to you and you are under no obligation to proceed with the work. We'll give you a ring to see what you think, of course, but you'd be surprised if we didn't! After that no more calls. Promise. If you decide to proceed with the work detailed in our quotation, we will arrange for the units to be manufactured to the agreed size and specification. This may require a second home visit to confirm certain details, but often this won't be necessary, especially if it is only a few weeks since the survey was carried out. When we receive a completion date for the manufacture of the units, we will let you know and arrange the installation schedule. The installation will normally be carried out in one day. If it is a larger project we will schedule more time for our installers and let you know beforehand. All of our installers are factory-trained by Granada, our manufacturing partner, and have many years experience in the window and glazing sector. For further peace-of-mind, all work carried out by Cambridge Secondary Glazing is covered by our 10 year DGCOS insurance-backed guarantees. And finally, if in the future you would like to add secondary glazing to other windows in your property, or need help or advice sorting out a problem, our after-sales team are always available. They'll be familiar with your property, so it may a simple solution handled quickly over the telephone. Paxtons Home Improvements is an Accredited Member of the Double Glazing and Conservatory Ombudsman Scheme and include their market-leading DGCOS insurance-backed guarantees with Cambridge Secondary Glazing installations.